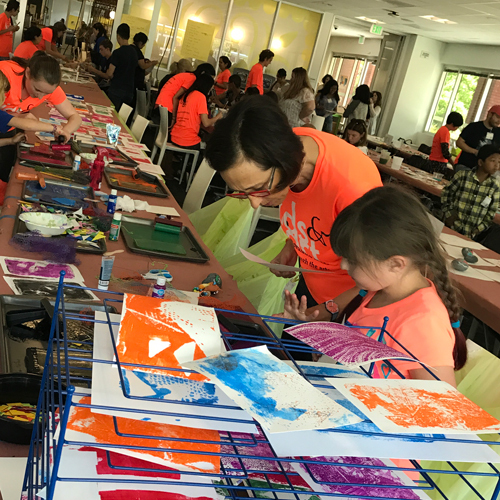 There are several ways to get involved with Kids and Art as an individual.Our needs often evolve faster than we can update this page. You might have some ideas we've overlooked. Please contact us through the form on the page. Would you like to help us uplift the spirits of families in pediatric cancer treatment? We can use people like you. We have many tasks and roles to fill and a lot of places to be. We also love the magic that happens when new people bring an influx of fresh ideas that contribute to our work. Even if you have just a small amount of time to devote to giving back, we can put you to work. We need a lot of people like you to do what we do. Because we want to keep doing what we are here to do: Draw. Paint. Make a mess. Curate exhibits. Make an artist out of a child regardless of the battles they're fighting in their real lives. Demonstrate passion and commitment. We are always looking for artists who enjoy working with kids and sharing techniques. While demonstrating a passion for working in a specific medium they also model mindful creative exploration and self-expression. Here’s a page we have devoted to artist volunteers like you. We can use your talent to capture the essence of Kids & Art through video or still photography. You know, the pen is mightier than the sword! If you like our mission, we invite you to find out more about us and to share our stories and even correct our typos. Positive press will help us with exposure and this will help us find new sources of support, tell our story to more receptive people and find more families in need of our workshops. Got skills? We’d love to match yours with one of our ongoing projects. 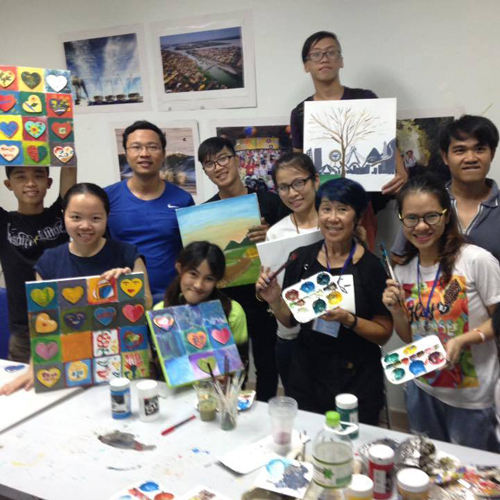 We need friendly and open-hearted people able to commit a few hours on weekends to: bring snacks for our art workshop snack tables, stretch canvases, lay varnish on paintings and many other tasks related to the care and feeding of an arts-oriented workshop grassroots organization. We also need volunteers who can work independently in the community at large doing tasks such as posting flyers at hospitals and care centers. 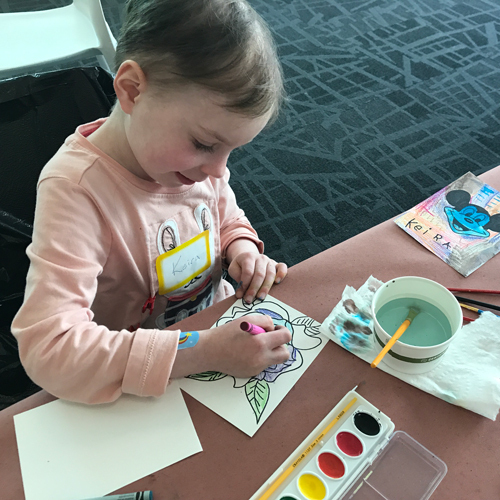 If you’d like to donate to Kids & Art, one way to maximize your donation is to use company matching. Many companies double employee donation through a matching program. Maybe even yours.Visit our corporate page for details. Our needs often evolve faster than we can update this page. You might have some ideas we've overlooked. Please contact us with the form below. Thank you for signing up to volunteer with the Kids & Art Foundation. You will start receiving information about our ongoing volunteer opportunities.